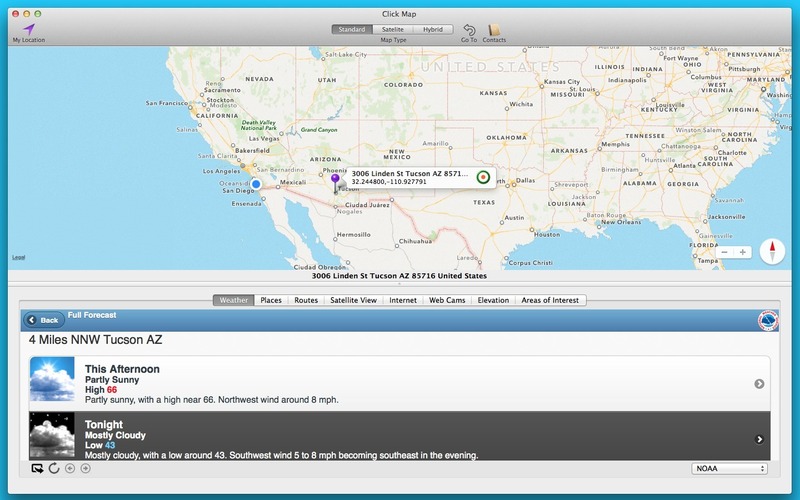 Quickly obtain information about any location on a map. Is there a better alternative to Click Map? 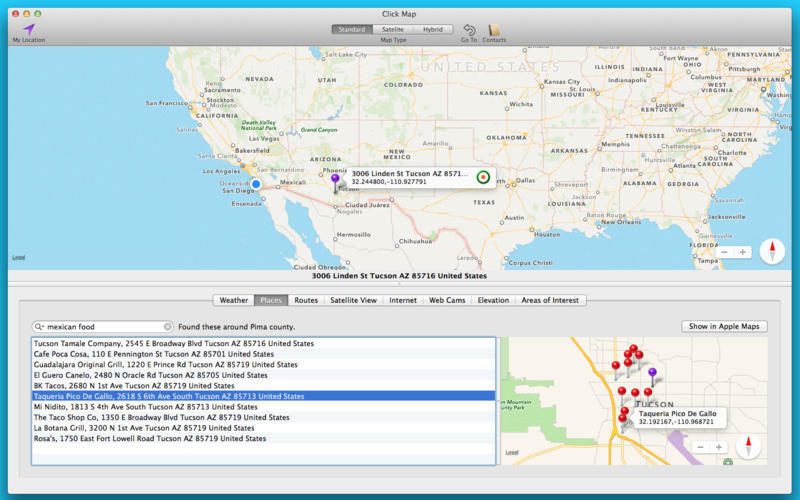 Is Click Map really the best app in Travel category? 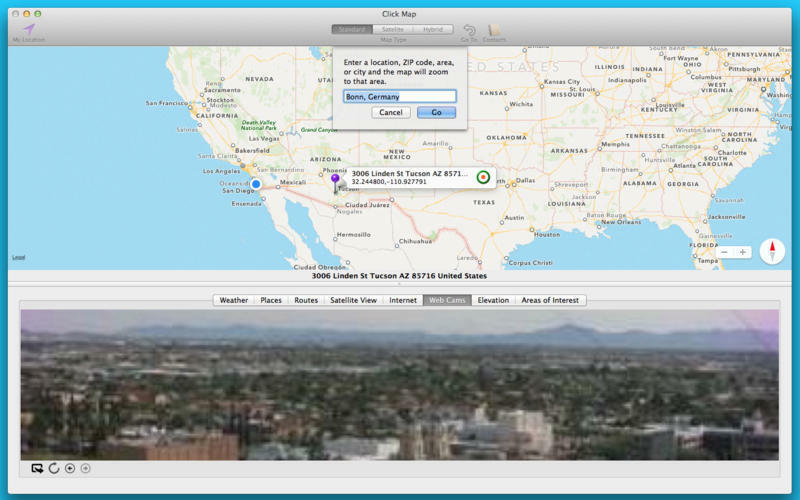 Will Click Map work good on macOS 10.13.4? Weather - Choose from various weather sources such as NOAA or Weather.com. Places - Enter some search words to find places near or at the location. Routes - Shows various routes from your current location to the location you clicked. 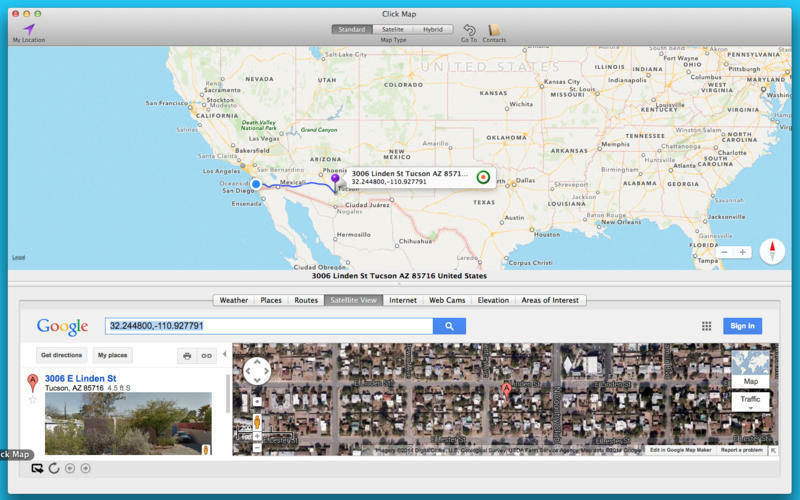 Satellite View - Get a satellite view (and street view if it exists) for the location. Internet - Search the Internet for news, images and more about the location. Click Map needs a rating. Be the first to rate this app and get the discussion started! Web Cams - View web cams (if they exist) for the location or nearby locations. Perfect for travelers: click along the route you're taking to gain valuable information about the route as well as your destination. Great for anyone else who wants to gain information about any location on the map. 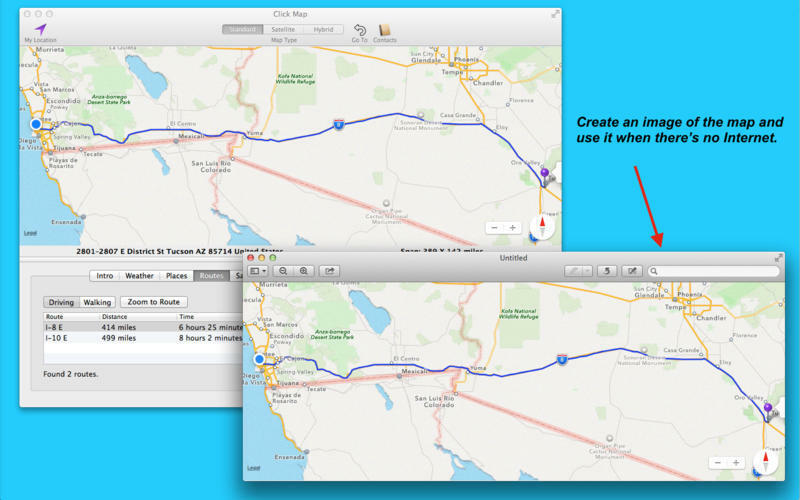 Export the data as a GPX file and import it into your GPS device.